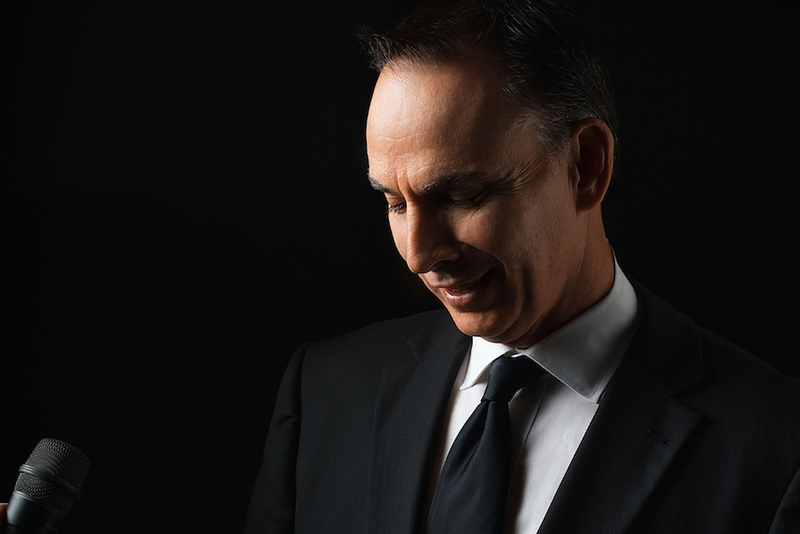 Regarded as one of Western Australia's premier male jazz, swing and lounge vocalists, Earl Cole provides a riveting and superior entertainment experience! Earl has performed at countless events and functions in Western Australia, interstateand internationally and is a sought after corporate entertainer and a popular wedding singer. Earl covers the music made famous by the great 20th century crooners as well as contemporary artists such as Michael Buble and Harry Connick Jnr. From floor shows with dancers to background music, he can customise his song selection and performance style to suit every client’s needs. Earl has an unrivalled repertoire of almost 300 songs he can choose from. Earl also offers a DJ & MC service to compliment his live performances. Earl can perform solo with backing tracks or with other musicians and performers, and his tribute shows are extremely popular. Conscious of the need to maintain high production standards, Earl uses only quality professional audio equipment and the very latest in LED stage and effects lighting. Earl’s very first performance was New York, New York. He is somewhat of a Sinatraphile and is an avid collector of Sinatra recordings and memorabilia. New York, New York is a collection of Sinatra’s best known songs spanning 5 decades. Earl has one of the most comprehensive Sinatra repertoires anywhere in the world with over 140 songs. New York, New York will appeal to young and old alike – from those wanting to reminisce of days gone by to the new breed of ‘lounge’ music lover discovering the magic of Sinatra for the first time. The great crooners of the forties, fifties and sixties are brought to life in Earl Cole’s Tribute to the Crooners. Nat King Cole, Dean Martin, Tony Bennett, Bobby Darin, Perry Como, Andy Williams, Matt Monro, Sammy Davis Jnr, Louis Armstrong, Bing Crosby, Fred Astaire and of course Sinatra feature in this fabulous presentation. Dean Martin remains very popular and his recordings sell almost as strongly now as they did during his heyday. Earl’s voice and his tall, dark looks are ideally suited to covering Dean Martin. Earl does Deano (Dino) very, very well! In the late fifties and early sixties Frank Sinatra (the ‘Chairman of the Board’), Dean Martin and Sammy Davis Jnr were members of the Hollywood ‘Rat Pack’. They sang together, hung out together and appeared in movies such as Oceans Eleven. Earl sings some of their best known songs in his tribute to the Rat Pack. Earl is a huge Nat King Cole fan. He regards Nat’s voice as being almost without peer and loves the sheer romance of his songs. Earl also deeply admires the man and his achievements. Earl covers many Nat King Cole classics including Unforgettable, Mona Lisa, Nature Boy, Route 66 and L.O.V.E. Tony Bennett is widely considered to be one of the best interpretative singers of jazz and swing standards. His career has lasted almost 60 years and he remains as popular as ever. Earl sings some of Tony Bennett’s best known songs in this tribute to one of the last great 20th century crooners. During a successful Malaysian tour in November 2008, Earl Cole, together with Perth vocalist Chelsea J Gibson performed a Michael Buble and Norah Jones tribute at a major awards night. At the end of the awards presentation they did a dance set stacked with 70’s disco tunes – for a bit of fun. The response was fantastic. Upon returning to Perth, Earl promptly started putting together a 70’s disco show featuring Chelsea and the added visual of the Earl Cole dancers. With great songs, explosive dance routines and 70’s costumes, Disco Infernois a floor show tailor made for corporate clients or functions and events with a 70’s theme. "We are proud to have Earl Cole as a feature entertainer and to represent him in the South East Asian region. He is a thorough professional and can always be relied upon to produce the goods for our clients -no matter what the event or occasion." "Without exception everyone thoroughly enjoyed your superb singing which was a fitting compliment to the stature and importance of the function"
"Earl Cole was a real big hit at our Annual Members Lunch. They loved the Sinatra show and his rapport with the audience suited the day perfectly. Earl is a very easy going guy and I would be happy to recommend him to anyone thinking about booking him"
David Simonette, Manager Operations & Industry Development, Greyhounds WA.